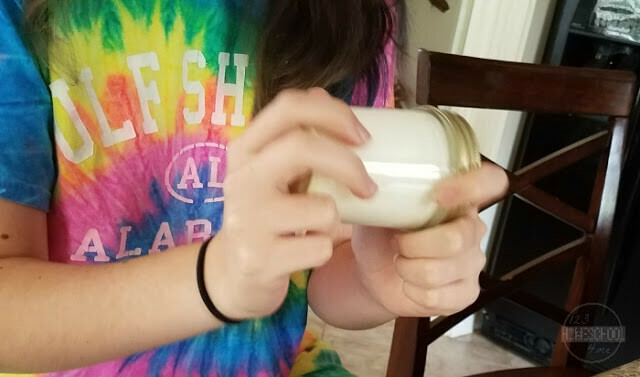 Looking for a fun, practical kitchen science experiment? 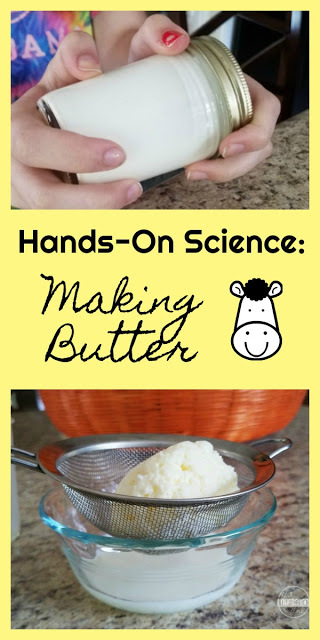 Your kids are going to love making Homemade Butter Science Experiment and learning about the science behind this science project. Science is everywhere. I say it all the time, because it is true. One of the best places in your home to find science in action is your kitchen. Cooking and baking requires chemistry. Eating and digestion requires biology. It’s all science! Many of the foods we eat are created by using principles of chemistry. Butter is one of them. Butter is created from cream. Cream is basically milk with a high fat content. 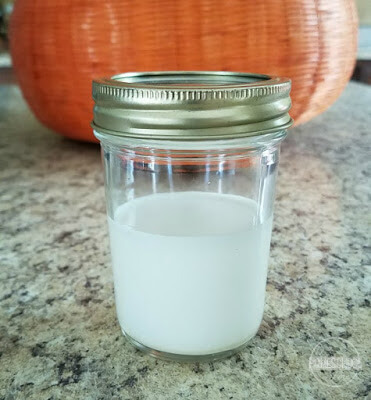 When cream is agitated with a churn, or shaken in a jar, the fat starts to glob together and separate itself from the liquid. 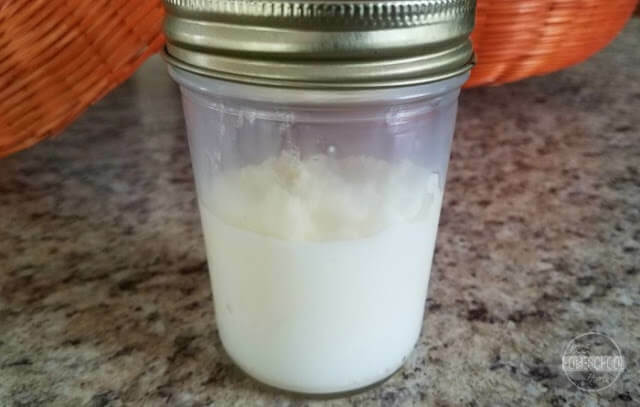 This glob of fat is butter and the liquid is called buttermilk. 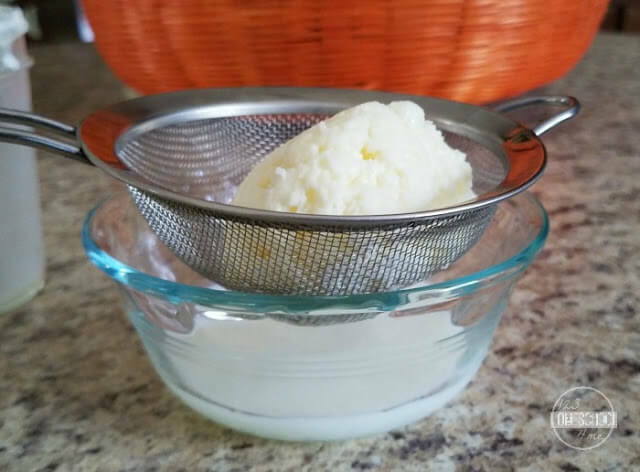 Let’s learn how to make butter and then we’ll take a closer look at the science behind it. 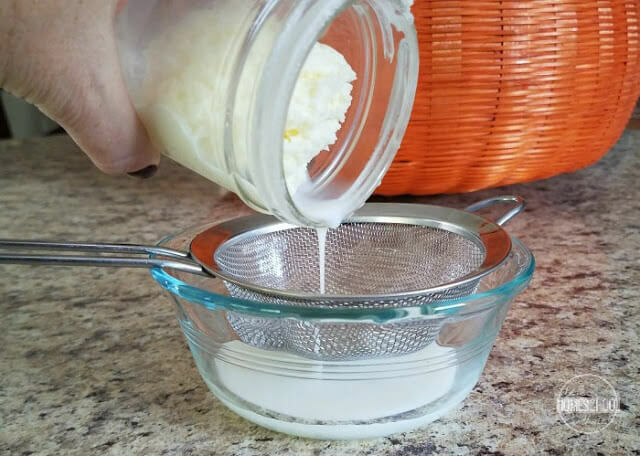 To make a small amount of butter, you really only need two things – heavy cream and a clean jar. Fill your jar half full and tightly replace the lid. Now, you are ready to shake! Stop every once in a while to check the progress. You should start to see a little ball forming. When it seems to stop growing and the liquid looks thin, you are done! Note how long this process takes. Take the butter out of the jar. The remaining liquid is buttermilk. You can save the buttermilk in the refrigerator for a recipe if you would like. 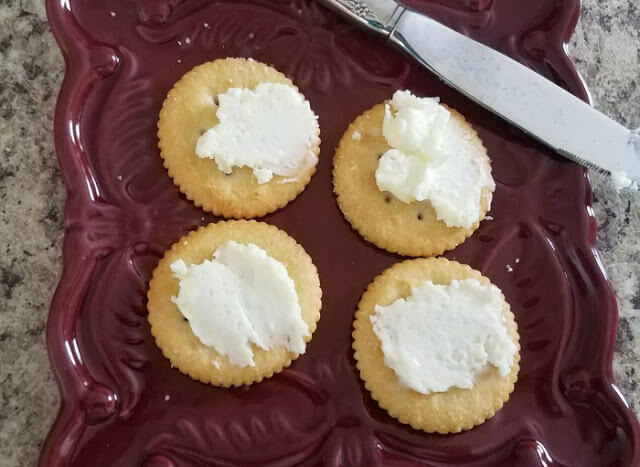 You can spread the newly made butter on crackers or bread to have a taste. Does it taste like the butter you buy from the store? Regular butter has added salt. So your butter might taste a little different unless you use unsalted butter in your home. Refrigerate any leftover butter. As I said before, butter is created when the fat in cream starts to stick together. You might be asking, “What keeps the fat from sticking together all the time?” Small amounts of fat cells in cream and milk are held together by a tight membrane. Under normal conditions, these membranes keep fat cells from grouping together to form large globs. 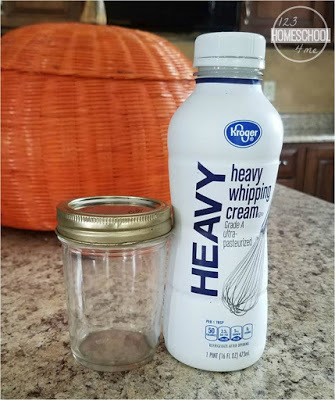 When the cream is agitated by the shaking of the jar, the fat cells bump against each other and the membranes burst. This frees the fat cells to clump together to form large globs and finally a large clump of butter.